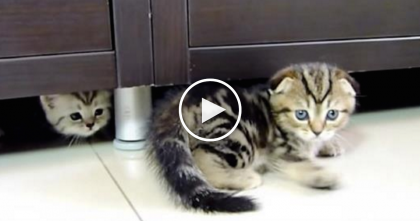 They’re Watching A Comedy Show, But Then Kitty Started Making A Strange Noise… OMG, Hahaha! They were watching a comedian on tv, but then started hearing something really weird coming from their cat! Luckily they were able to catch it on camera, because it’s hilarious. “My husband laughed and all of a sudden we heard a strange noise from our cat… every time we laughed she made the noise again! She was imitating us and laughing!! !” says Lori-Anne Fournier on Youtube. They Noticed Something Unusual Happening With This Kitten, So They Started Recording… AMAZING! 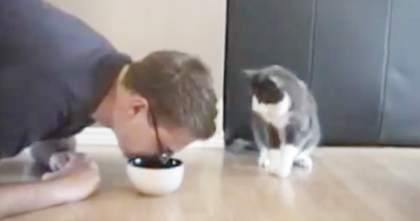 He’s Pretending Like He’s Eating Some Cat Food…. 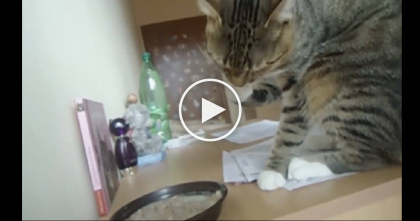 Now Watch How The Cat Responds, Hahaha!! At First, He’s Just Licking His Paw. 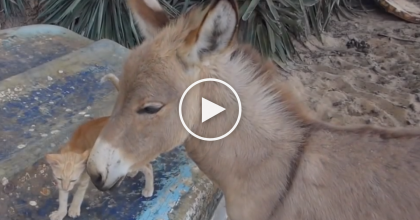 But When He Looks Down?… OMG, Now That’s Too Funny! 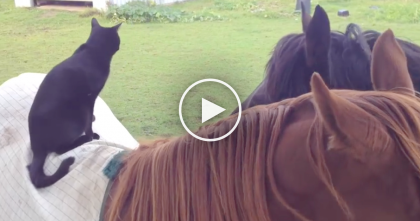 Kitty Hops On His New Friend, But Just Watch… He Doesn’t Even Want To Leave, Awwww!